Scanpst.exe is a utility program to fix corrupted PST file, it came when you installing Microsoft outlook as part of Microsoft office program. When you incorrectly shutdown outlook it can be caused corrupted to the PST file and when PST file corrupted Outlook cannot open. There 2 type of Outlook data file, an OST file is a cached email stored in your local computer. This is a copy of your emails in the server, losing this you still the emails in the server. A PST file this is the file that contains emails in the local PC and not available in the server. Losing this file means losing your emails and no other copy, so be careful not to lose this file. When Microsoft Outlook cannot start because of corrupted PST file you will need to run Scanpst.exe to fix the problem. What is PST file and where is the location of this file? PST file is personal file contains email that part of Microsoft outlook program. A PST file can hold all emails and folder, the file size can be huge. When a file becomes too large, it became prone to corrupt. To run scanpst utility you need to close outlook first. 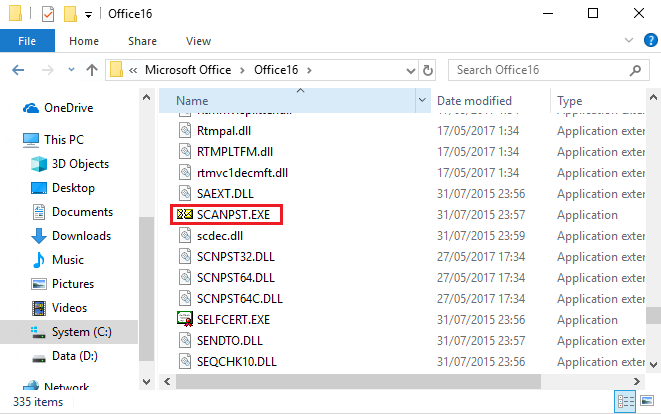 Run the scanpst.exe and browse the PST file you want to repair. When Scanpst found the error, it will repair the error and make a backup of original file. The repair process could take hours depending on how big is your PST file. I recommend you to repair it when you finish work and let the computer on if file size more than 10GB. You can check the result next day in the morning.